13 April 2019, Lucknow city will run with zeal & enthusiasm in ‘Lucknow Health Run’ for the purpose of making everybody aware of good health. Innovation Welfare Society comes with the first phase of ‘Lucknow Health Run’ which is being held on 21st April 2019 at Janeshwar Mishra Park Gate No.1. and starts at 5:30 AM. Lucknow Health Run, this marathon has been divided into three categories ie. KIDS RUN 10K & 5K. Age group as for the same is Kids run – 5Years to 11Years & 5K & 10K is open for people above 11 Year of age.These shall be running and spreading the message of good health. 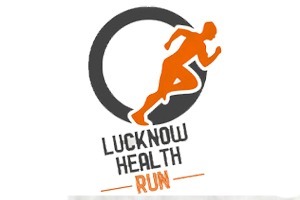 Hundreds of people have already registered themselves to become a part of Lucknow Health Run. In Lucknow Health Run, professional runners will also attract attention and will encourage the enthusiasm of participants. Lucknow Health Run will start from Janeshwar Mishra Park, Gate No. 1 Gomti Nagar on April 21. The first category is 10km which will flag off from Gate no 1 go beyond gate no.6 and take a u-turn. The 2nd category is that of 5km, this again shall be flagged-off from Gate No.1 and taking a u-turn will come back to the start point. The 3rd category is KIDS RUN. It will begin from Gate No.1 go up till Gate No.3 and back to the flag off point after taking a U-turn. from this, participants of the fourth, fifth and sixth places will be given gift hampers. “BIBS on chest shall be having a timechip installed to monitor the time. Secretary of Innovation Welfare Society and Mohd. Badar told that all the standards of marathon are carefully being taken care of in this run .When the participant completes the race, a message will be sent to his registered mobile number. There will be a link in that message. To open this link, the participant has to enter his ‘Bib’ number. After entering BIB number, participant who has completed the run can get the details through a mobile application or online. E certificate will be provided to the participants. To this run many professional runners have been made brand ambassadors. In which runner Arun Mishra is the Race Director. Along with this, Colonel Bajrang Singh, who has qualified in Boston Marathon in 2020, has been appointed as Brand Ambassador. Runners Ajit Kumar Singh, Preeti Ahuja, Amit Sharma, Devesh Kumar Dubey and Mohit Tandon are also the brand ambassador for Lucknow Health Run. I want to participate in run on 21st April. What is the process please let me know.